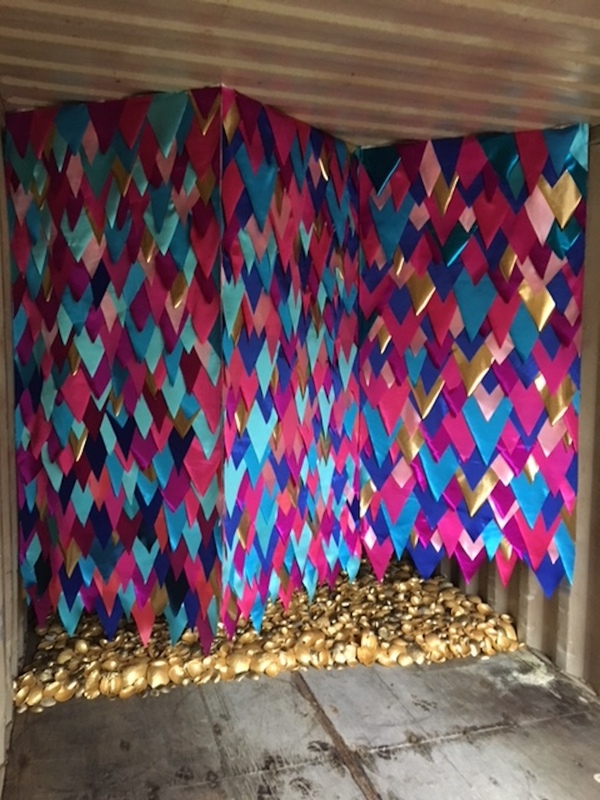 Day one of COCA's UNcontained artist residency located in shipping containers placed in lower Queen Anne. Getting excited planning the installation that will take place inside the shipping container. For now, it's really just a blank slate and really couldn't be in a better location, across from the Seattle Ballet. 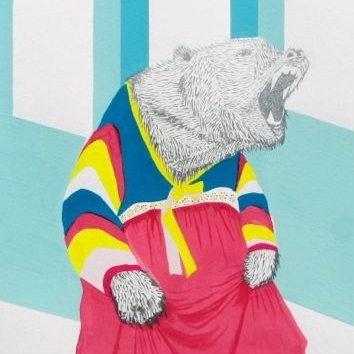 Looking forward to "filling" up the space with a new mound installation entitled "Han San," Korean for One Mountain. Finished installation just in time for the open house. I was able to reuse the gold shells from a previous installation for Storefronts. The "curtain" is held up using powerful magnets since we couldn't use any hardware on the shipping containers.